When I first started playing Breath of the Wild, I decided that I would do an early review of the first ten hours. However I got so engrossed into exploring every possible nook and cranny when I wasn’t making progress in the story that I blew through the first twenty hours climbing every mountain and scavenging for materials and weapons. Whoops. But it gave me a lot to work with for this review as well, so no complaints there. Spoiler warning: there are some revelations about the story and characters in Breath of the Wild below. Read at your own risk if you haven’t had a chance to play the game! I’m not sure how the button layout is on the Switch, and on the Wii U, the controls are a little confusing and complex compared to previous entries. Luckily, it doesn’t take much to get used to them and ultimately they end up feeling quite natural over time. The game runs very smoothly and the sheer amount of items and equipment you can carry with you, while limited in number, makes combat a lot more engaging thanks to the different approaches a player can take in battle. 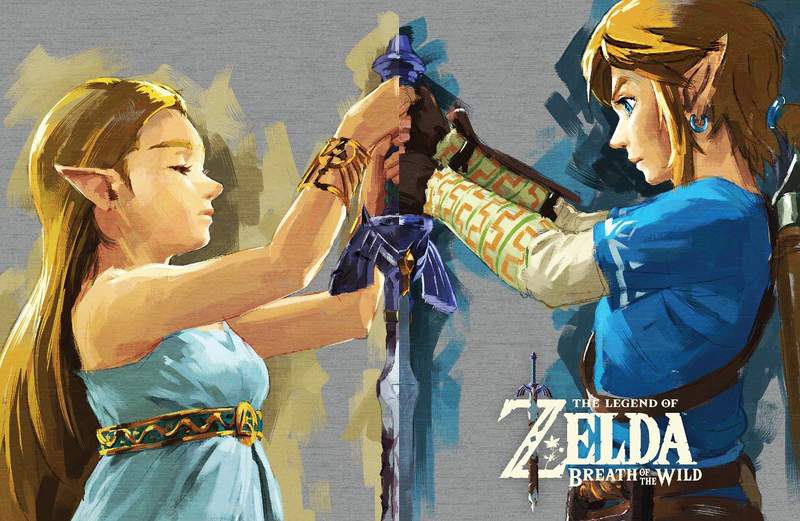 Featuring another darker narrative that previous games like Wind Waker and Majora’s Mask were masterful at weaving, Breath of the Wild’s story is driven by the calamity of the past that has huge ripple effects in the present (which, can I say that I think that’s super cool that another installment is featuring the consequences of losing against Ganon despite trying to be prepared with their weapons and strategy? So cool). In particular, the character fatalities of the past conflict are still felt in the present, and that helps the darker narrative hit home as well. The story of the past and present is extremely engaging, and the corrupted technology (and technology to this level) is a first for the series. I also really like the voice acting quite a bit–I thought it might be strange to feature voice acting while keeping Link silent, but I don’t know why I thought that. The game does a great job of framing the voice acted scenes around Link in order to make his lack of response more natural. And the fact that the acting is well done and the voices match their characters is nice too. The lore builds on familiar aspects fans have come to expect from the series, but also gives it a new twist that makes it fresh and new. The cast of characters in the past and present are unique and colorful, and even the side characters and townspeople still have a fair amount of personality given to them. Rather than feeling like inconsequential non-playable characters, the townspeople are humanized and share similar goals of surviving in a world devastated by chaos. I appreciated the care that was put into making all of the characters feel relatable and likable, and the unique character designs certainly helped. And for the first time too, the fear of Ganon’s return and fighting him is so palpable in Breath of the Wild thanks to the flashbacks of the past. Previous entries have never really done this before to this level, and I appreciated the time the game takes to address these fears the characters have. Link’s amnesia feels earned as well because it allows the players to meet these influential characters as he does and gain reason to be invested in them, and it also works because the past influences how the perceive him as well and is justified. The graphics in Breath of the Wild are absolutely incredible. The textures are so detailed and precise, and the game is bright and colorful. Gone are the days of drab realism—Breath of the Wild shines in taking advantage of creating lush environments for players to explore. 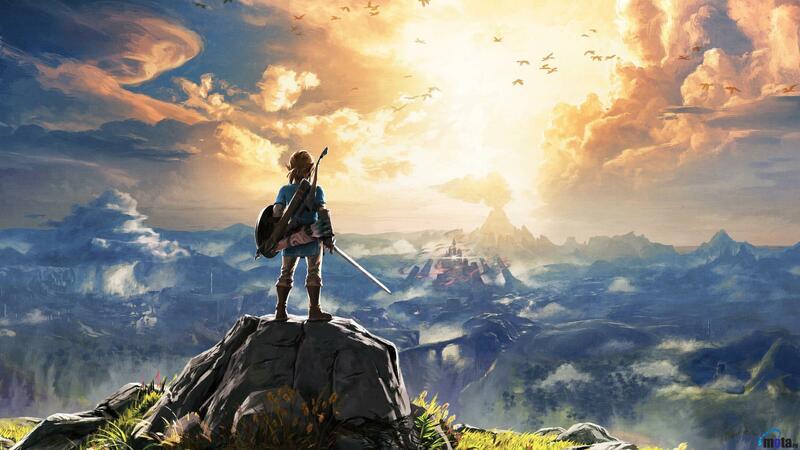 Breath of the Wild’s soundtrack may not feature a sweeping orchestrated track of Hyrule field, but the quietness of exploring the world is actually very welcome. Piano notes denote when players find new locations, and towns and stables feature memorable songs as well. The horseback music is pleasant to listen to as well, but I didn’t mind having moments of quiet while I was exploring. It really adds to the survival aspect and forces players to be mindful of their surroundings and listening for danger. The vast, open world of Breath of the Wild is absolutely beautiful and exciting to explore. I’m not sure where it falls in the timeline, but I found myself not really caring as I went through the game. This Hyrule is expansive, and while it may seem empty to some players, the small remaining villages and towns help reinforce the mark of destruction the Great Calamity has left. It’s an absolutely beautiful environment to explore, with memorable locations and set pieces. So far, I’ve enjoyed every minute of Breath of the Wild. The first twenty hours have been excellent and I can’t wait to play more of it. 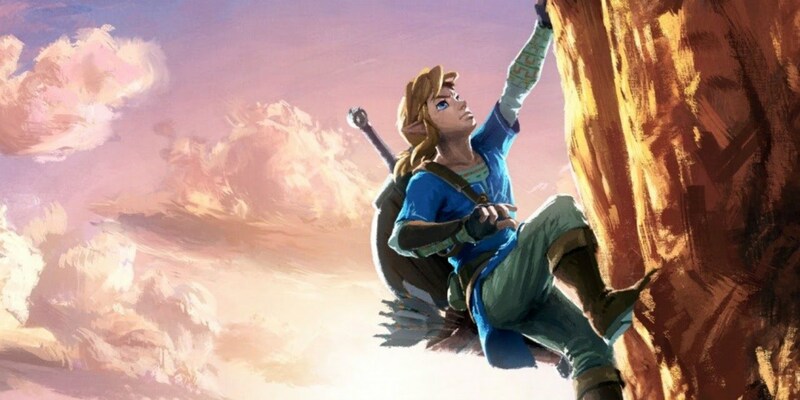 This review is pretty short, but I’m waiting to expand more after completing the game and I also want to stop writing so that I can go back to playing it, but needless to say, I think Breath of the Wild will be among one of my favorite installments in the Zelda franchise. I already love it so far, and I can’t wait to beat it and experience more of what the game has to offer. Great review. I’m loving this game so far. Been hooked on it since it released. Great analysis. I feel pretty much the same way. I have been loving the game from the get go. I have heard some people say it starts slowly, but I think the pace during the early stages of the adventure is far better than that of other Zelda installments. Good to hear that you’re enjoying it! I was unsure of how they’d handle silent Link amidst voice acting, but it does work. I almost prefer it to the typical action gaming protagonist that’s just there to make quips. Hahaha. I also second your thoughts on a good darker story. The themes do seem darker, sort of like everyone’s reactions to the moon falling in Majora’s Mask. There’s real psychology here, and I appreciate that Nintendo went for a more adult story in terms of human feelings.